Ride In Peace, Jobst Brandt. 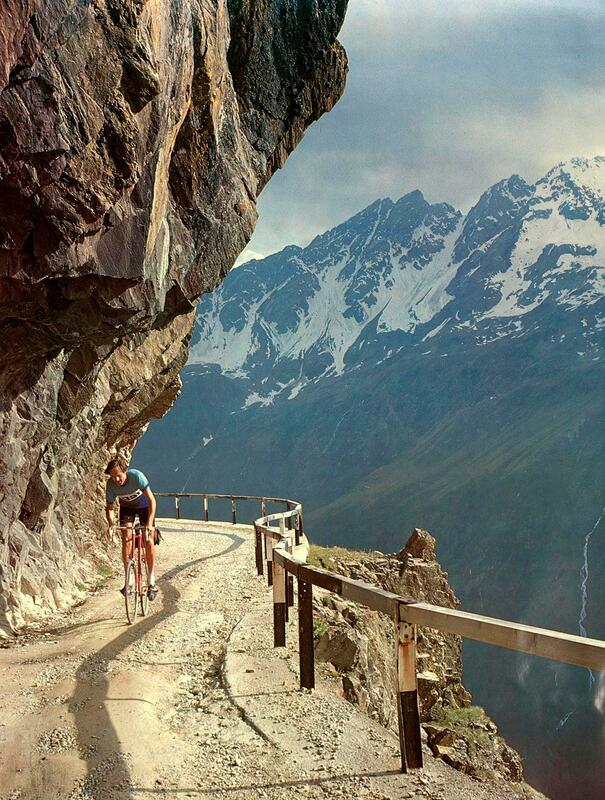 Jobst Brandt riding up Gavia Pass, Italy. Made into a poster. And hears him in the spokes. Jobst Brandt, a cyclist who in so many ways influenced the bicycle industry during its glory days of the 1980s, died on Tuesday, May 5, 2015, after a long illness. He was 80. On his 76th birthday, Jobst crashed his bike at the Sand Hill Road and Whiskey Hill Road intersection near Woodside during an early morning ride in a dense fog. It was his last bike ride. His serious injuries added to the burden of other health liabilities. Previous Previous post: Saturday is Parade Day!